Find the right managed services provider for your business! The ability to work together and collaborate with others is key in the workplace among you, your employees, and even those you turn to for outside help, like your managed service provider. A managed service provider takes up an important role in your business when it comes to your IT infrastructure as they remotely manage it for their customers. Considering their rule within your business, you want to make sure you can work collaboratively with your managed services provider to achieve any goal you may have set for yourself. This means you will need to make sure you pick the right managed services provider for your business, and here is how you can do that. An important feature that you want your managed services provider to possess is the ability to be responsive and helpful when the time comes that you or your customers need help. Ideally, you want to be working with a managed services provider that has an active display or alerts set up so that they know immediately that there is an issue they need to address, rather than waiting for someone else to report the issue and bring it to their attention. Constant monitoring around the clock and the ability to quickly react to any issues encountered is a valuable quality in the IT world, and something you will want in a managed services provider when outsourcing. Another trait you will want to find in a managed services provider is cost-effectiveness. 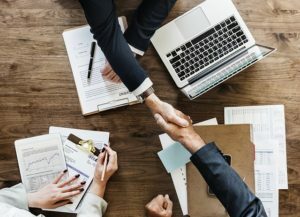 Often, when hiring a managed services provider, you are already making the right financial decision to pay the agreed upon fee to them rather than hiring your own employees and paying for their training as well. Additionally, you will not have to worry about sick or vacation days because there will always be someone from your managed services provider available to help you since that is what you are paying them for. You will also want your managed services provider to be able to provide you with meaningful data that can help better suit and improve your needs. You will want them to be able to analyze the data they can more quickly analyze so you can then take that information, and make effective, strategic decisions to improve your situation and capabilities. Experience a superior method of getting the public sector technology solutions you need through forming a partnership with En-Net Services. Our seasoned team members are familiar with the distinct purchasing and procurement cycles of state and local governments, as well as Federal, K-12 education, and higher education entities. En-Net is a certified Maryland Small Business Reserve with contract vehicles and sub-contracting partnerships to meet all contracting requirements. To find out more about our hardware services, printing, and imaging services, or to hear more about how a dynamic team can help meet your information technology needs, send us an email or give us a call at (301)-846-9901 today! This entry was posted on Friday, July 27th, 2018 at 2:27 pm. Both comments and pings are currently closed. Cloud Storage: Should Your Business Make the Switch?